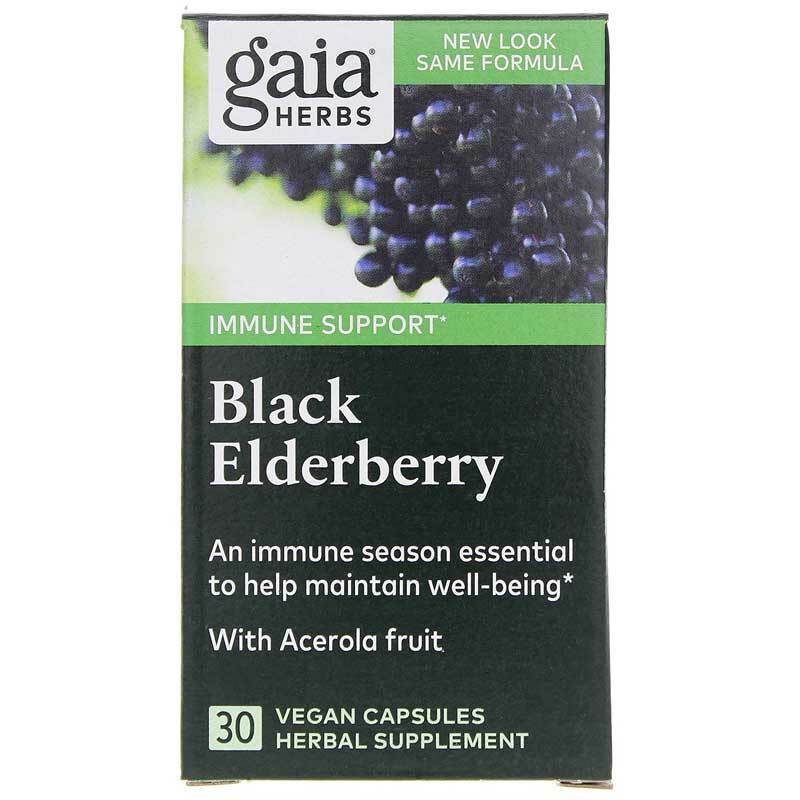 Gaia Herbs' Black Elderberry is a dietary supplement designed to help you maintain a healthy immune response whenever you need it. Super foods with potent levels of vitamins, antioxidants, and phytochemicals, black elderberries provide both antioxidant and immune support, due to their natural concentration of anthocyanins and other Flavonoids. 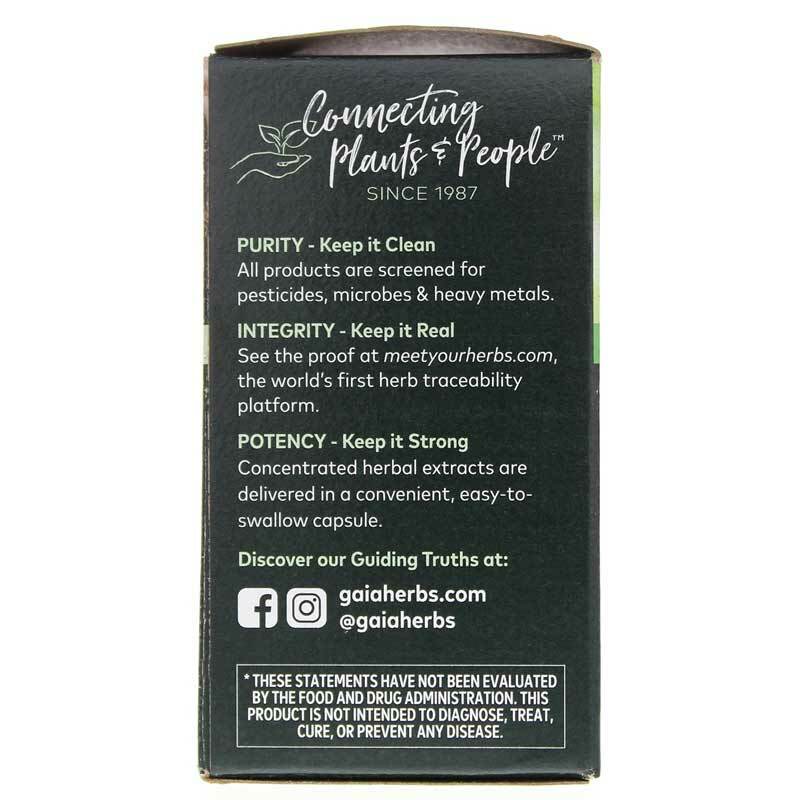 Made using certified organic elderberries and acerola fruit extract. To use as a dietary supplement, adults can take one capsule two times a day between meals. Other Ingredients: acacia gum and capsule (vegetable cellulose). 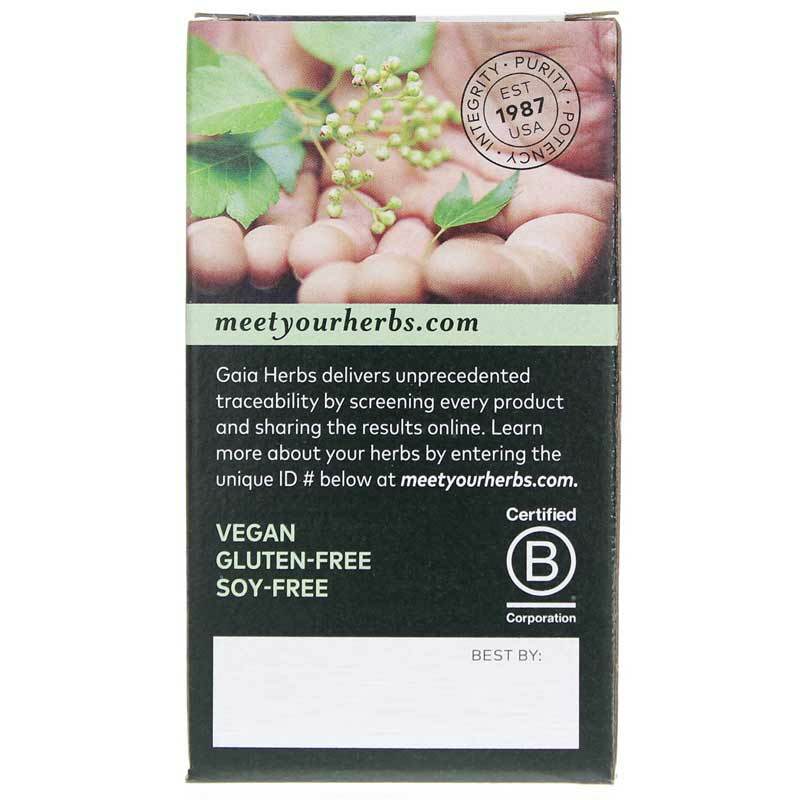 Contains NO: sweeteners or fillers. 100% vegan and gluten-free. Adults: Take 1 capsule 2 times daily between meals. 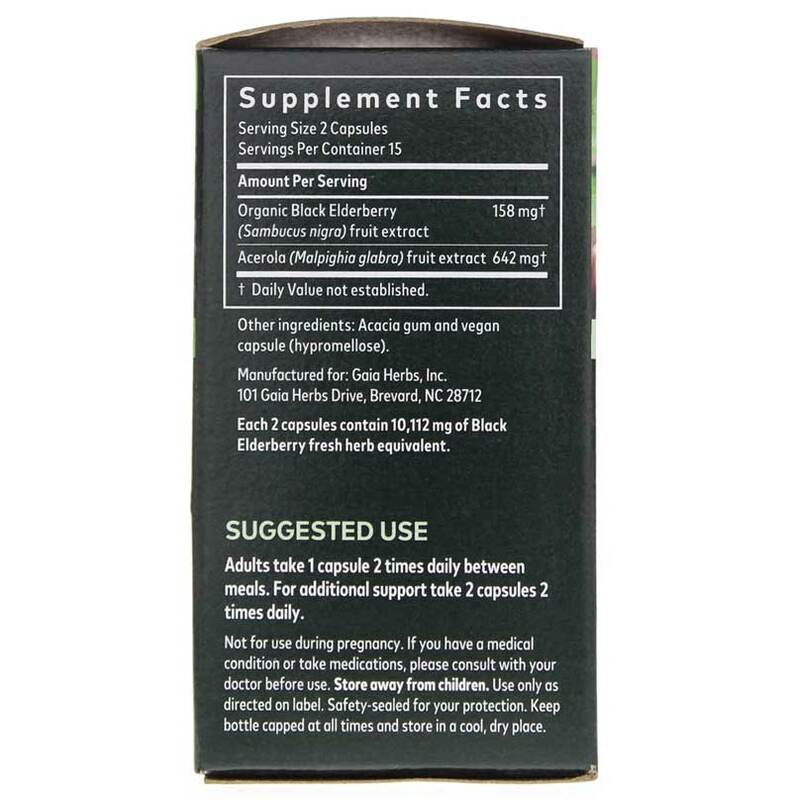 For additional support, take 2 capsules, 2 times daily. They were extremely easy to take and reasonably priced. I take it 3 times per day for my immune system and have been doing great!